From their first video for "Dookie". 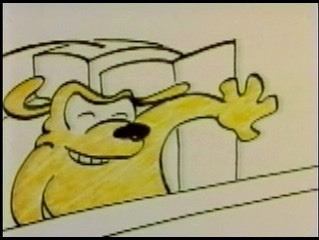 This animation comes on screen at about the 17 second mark in Green Day's first video for the song "Longview", promoting their first studio released album "Dookie". In the video it appears on the TV that Billie Joe is "watching". Produced for director Mark Kohr.